Announced by the President, October 24, 2011, the New Harp mortgage program guidelines allow more homeowner’s to take advantage of the program. This program, which is part of the federal government’s Making Home Affordable Program, is intended for homeowners whose loans are owned by Fannie Mae or Freddie Mac and whose homes have minimal or no equity. The program has been extended until December 31, 2015. The maximum Loan to Value (LTV) cap has been removed on home owners looking to refinance in to a fixed rate mortgage. However for homeowners looking to refinance in to an adjustable rate mortgage the maximum LTV is set at 105%. The appraisal process has been streamlined; in cases where an Automated value can be determined an appraisal would not be required. 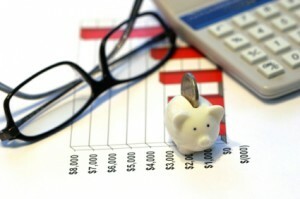 Each mortgage lender will enact its own schedule for implementing these enhancements. Lenders should receive instructions from Fannie Mae and Freddie Mac before November 15. Several lenders could begin taking in mortgage applications under the new enhancements by December 1. Other lenders will need extra time to accommodate the changes. Enhancements such as the ones affecting delivery of loans with LTVs above 125% should be in effect by the first quarter of 2012.